One of the most straightforward and effective treatments is teeth whitening, which is now one of the largest growing cosmetic procedures in the UK. But in an industry estimated to be worth some £40 million-plus a year, how best to nail a stunning smile fit for the red carpet? First of all, just why do our teeth discolour – even if we look after them properly? Inevitably, teeth age as we do and dull as the years go on. But lifestyle habits and diet can also impact on their whiteness – food stains and even certain medication can discolour teeth. And smoking has a terrible effect on not only the health of our mouth (and beyond) but on its appearance, too. A note here is that if you are considering teeth whitening, you may wish to quit the cigarettes before doing so in order to benefit from the treatment and maximise the aesthetic results for longer. Worryingly, recent research reveals that 28% of us considering teeth whitening would rather purchase potentially unsafe home kits on the internet or seek treatments from beauticians and pop-up kiosks than go to our dentist. But be warned, the rules are that any teeth-whitening products containing or releasing above 0.1% hydrogen peroxide can only be sold to a registered dental professional who offers the treatment in their practice. Also, legally you can only teeth whitening after a dentist has first examined you to make sure there are no risks or any other concern about your oral health. Ordinarily, you need to be over 18 years old. So, not only is the dental clinic the only safe place to get a whiter smile, but it’s also the most effective and predictable – dentists and their teams will aim to give you long-lasting whitening that is easy to maintain without suffering any sensitivity effects. Only this month, an investigation revealed that a man was charging £300 for a one-hour course teaching total novices how to illegally whiten teeth and make 'easy money' and two woman were fined hundreds of pounds in separate incidents after admitting to carrying out teeth whitening illegally on members of the public at beauty salons in Rotherham and Nottinghamshire. What can we realistically expect to pay for teeth whitening? Of course, the cost of teeth whitening varies from practice to practice and region to region as well according to what treatment is chosen – i.e. whether it is home whitening or an in-office treatment. Typically the price can range between £200 to anything up to £700. Ok, so if a beautician cannot carry out teeth whitening, can they sell the bleaching product? No. It is illegal for anyone other than a dentist, hygienist or therapist to carry out whitening or even sell you any whitening products, as it is a prescription only medicine. What can go wrong without a dentist assessing me needs and treating me? It is essential a dentist assesses your teeth prior to a whitening treatment. Many things are checked, such as having healthy teeth and gums prior to whitening as well as whether you have crowns, veneers or bonding on certain teeth as these will not whiten and you will end up with a colour mismatch if this is the case. If you have a leaking filling or a cavity the whitening agent can also leak into these areas and cause sensitivity and discomfort. Is there a risk to my teeth or gums? Teeth whitening is a very safe and non-invasive way to enhance your smile, if carried out using the correct products. The products used by dentists are very safe and will not cause any damage to the teeth or gums. Some products bought over the counter or on the internet can be harmful, may damage the teeth and cause irritation to the gums. Why is it considered more than a beauty treatment? There are many things to look out for before carrying out teeth whitening treatment. Only a dentist can assess your teeth to determine if you are a suitable candidate for teeth whitening. 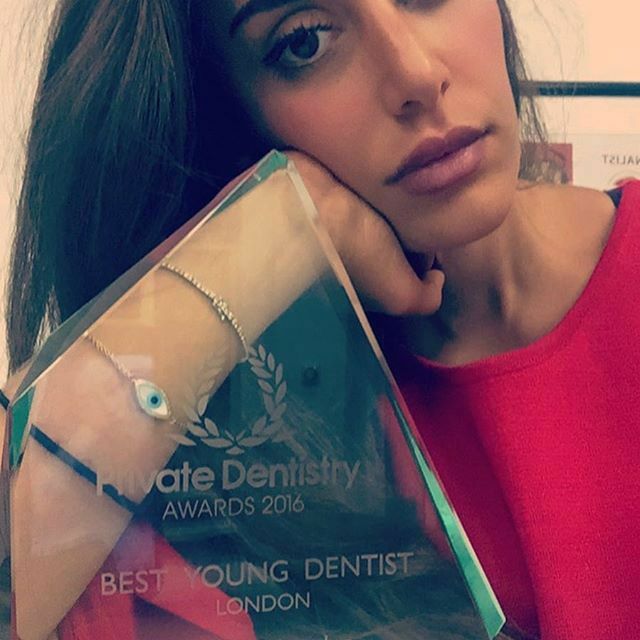 Rhona Eskander is an award-winning dentist who enjoys practising cosmetic dentistry. She believes there is a huge price to pay for opting for cheap – and illegal – teeth whitening treatment. She says: ‘Without a dental diagnosis by a dentist, you may not realise that your discoloured teeth may be due to caries (decay), so not only will the whitening have no effect, you may be walking around with untreated tooth decay. The magistrates’ courts take the illegal practice of dentistry very seriously. It is important that when you seek dental treatment – such as teeth whitening – you check whether the practitioner is registered with the GDC. You can find a practitioner’s GDC number on the practice website. Additionally, ask to see ‘before and after’ images from any clinician you choose for your teeth whitening. And NEVER be tempted by cheap illegal beauticians and pop-up whitening booths.